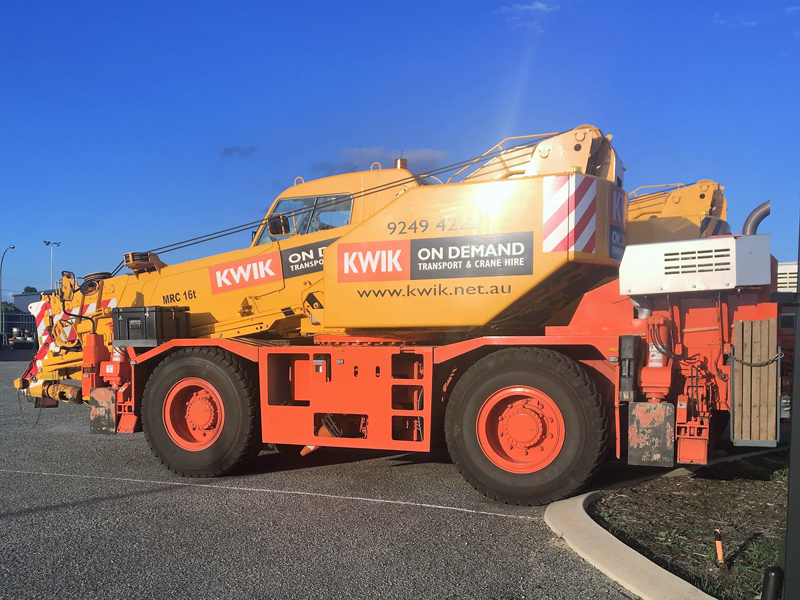 Kwik Logistics have the largest and most modern slewing crane fleet in Western Australia operating primarily in the greater metro earlier for wet hire. 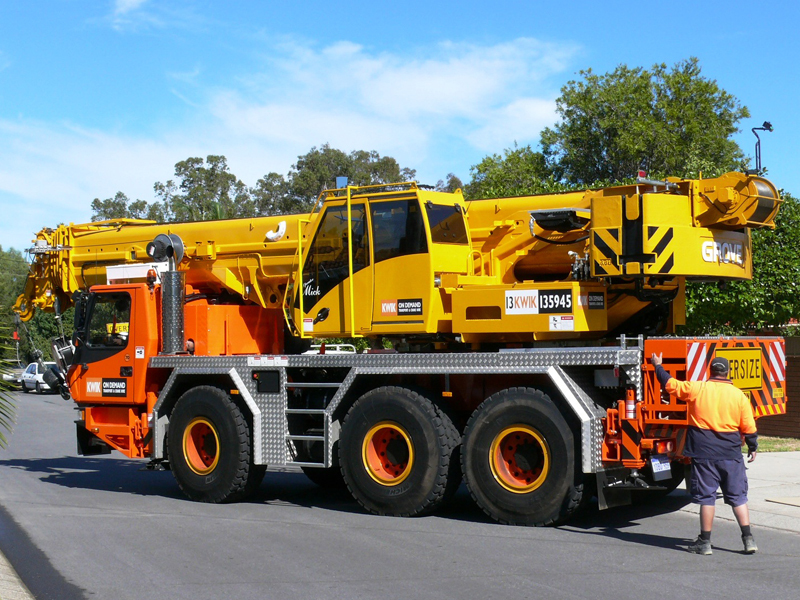 With decades of industry experience, we can not only help you select the appropriate crane for the job, but can provide valuable insight for the overall completion of your project. We can help to with all aspects of logistics, from cranes to transport and traffic management. 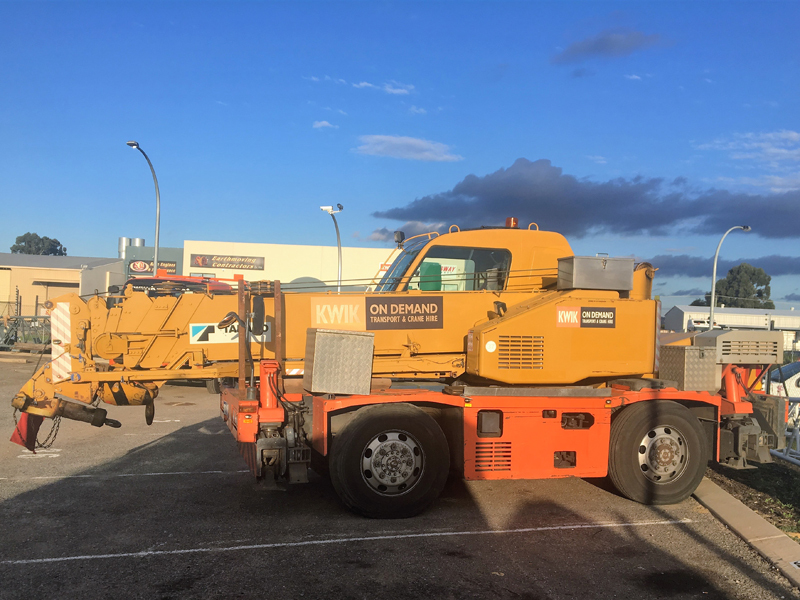 Take a look through our fleet of cranes to learn more about slewing cranes and how Kwik Logistics can help you with your next project. Slewing mobile cranes are capable of operating on multiple sites per day and move easily around the metro area setting up on tight construction sites. Slewing cranes operate by setting up on outrigger pads and rotating 360 degrees from a fixed position. Slewing cranes vary in size, but are compact when compared to the capacity that they are capable of lifting, making them well suited to sites that have limited access and obstacles. They are easy to install on site making them affordable and efficient. Slewing cranes are available in smaller capacities, ideal for residential areas, as well as large capacities, suitable for industry uses and large commercial sites. 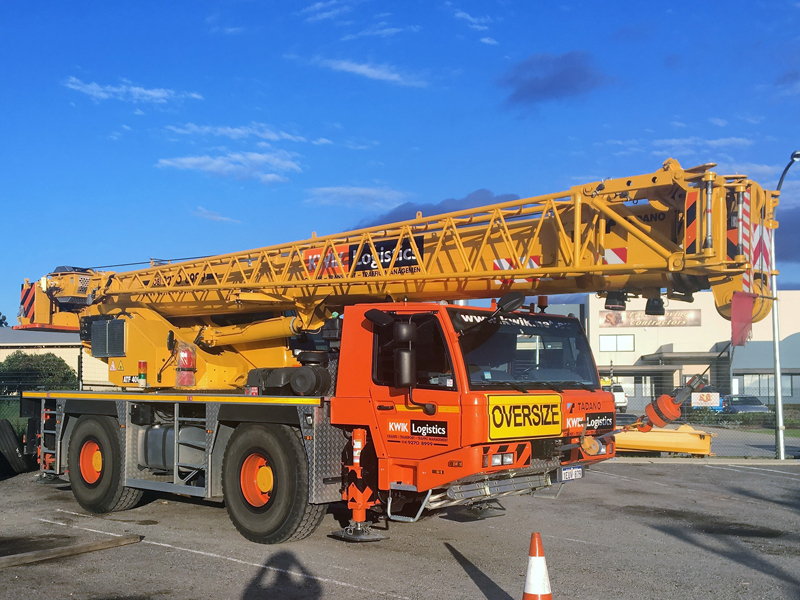 Kwik Logistics utlise a variety of different crane manufacturers including Grove (by Manitowoc), Tadano and Terex, with the majority of our fleet being late model Groves. 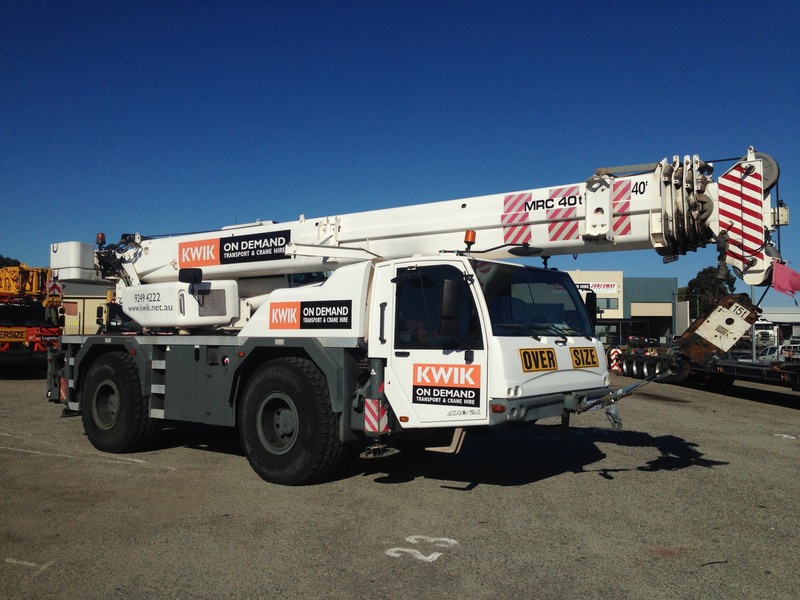 For the slewing crane variety, Kwik knows and trusts Grove cranes as our preferred supplier. 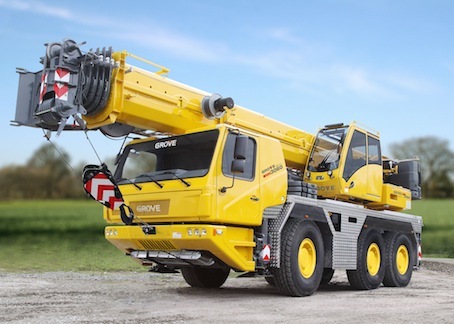 Grove have a long history of creating top quality industrial equipment and heavy machinery which has lead them to grow into an industry leader, today focusing largely on crane manufacture. 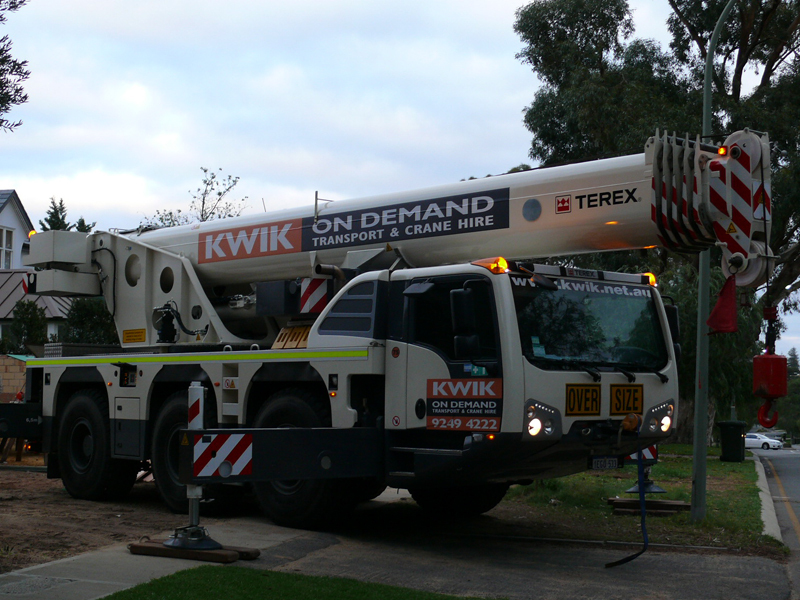 Kwik Logistics carries a fleet of Grove Cranes in varying capacities ranging from 55 tonne to 250t. 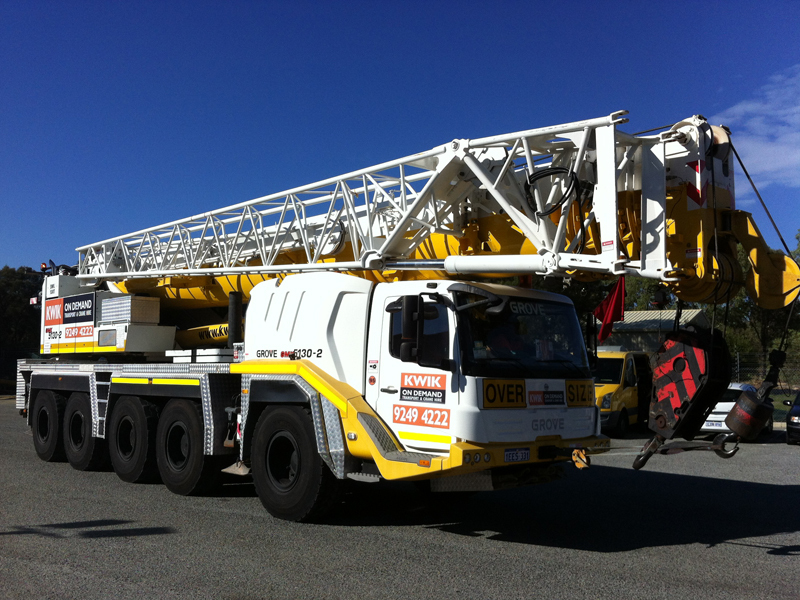 Our newest, and largest, edition to the slewing crane fleet is the 250t (GMK5250L). 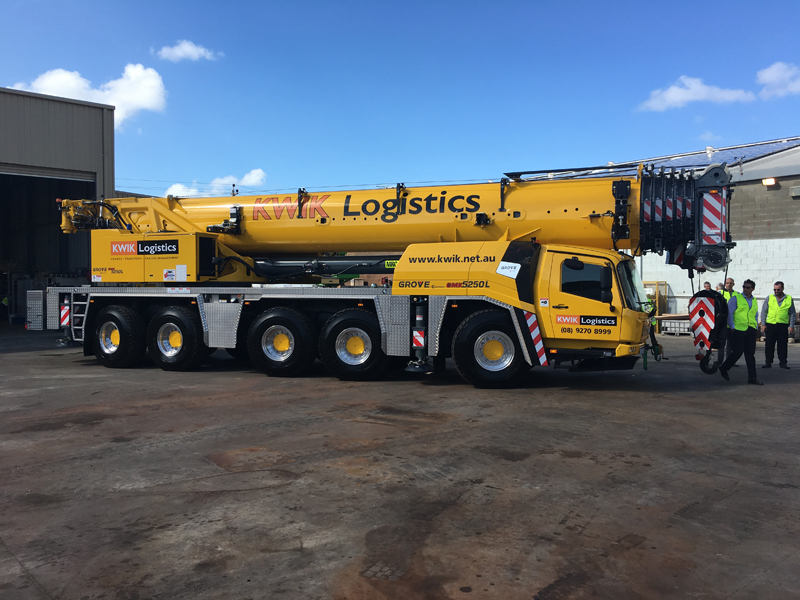 With its incredible flexibility, compact size, and exceptional 70 metre hydraulic boom, this crane performs in jobs where other cranes can’t. Always keeping safety at the forefront, this crane features the latest technological advancements in its computer system, ergonomic design in the cabin, and improved fuel efficiencies to offer lower running costs than before. At Kwik Logistics, we understand the pressures and demands of daily business. We pride ourselves on exceptional service so you can get your project done, on time and without stress. 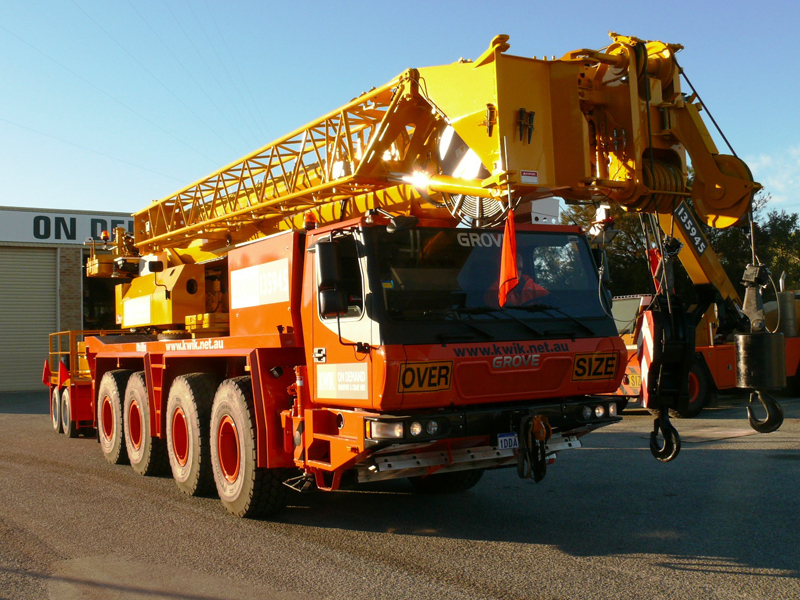 We have decades of industry experience in cranes, transport, and traffic management. This experience along with exceptional field staff gives us the best ability to offer sound advice on the best method for completing your project. 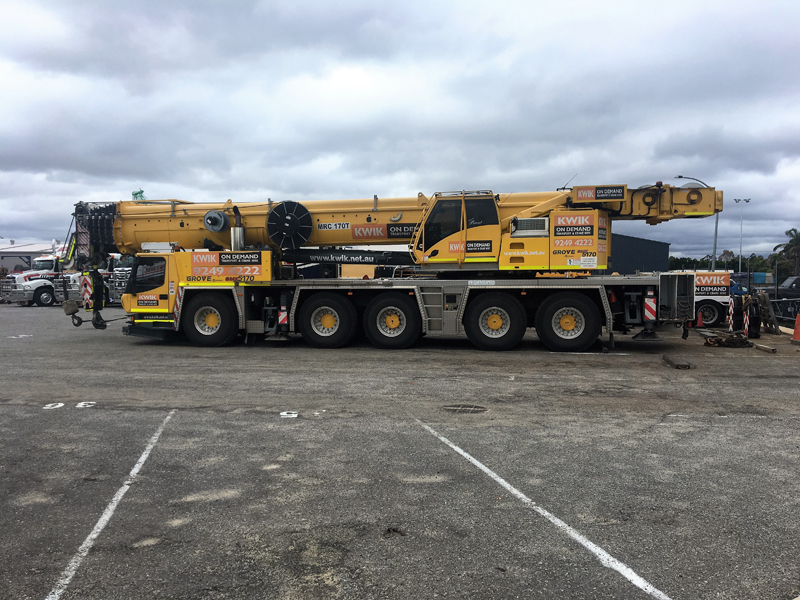 With a fleet of high quality slewing cranes in Perth, you can rest easy knowing our machine will get your job done efficiently and safely. Contact Kwik Logistics today for your next project. We can visit your site, provide a free quote, and assist you on the specific requirements for any job.